FMX 2016 presentation on techniques used to create virtual humans in Unreal at Epic Games for the “Hellblade: Senua’s Sacrifice” trailer. This entry was posted in Presentations and tagged games, hdr, ibl, lighting, rendering, vfx on May 12, 2016 by hpdrc. The Digital Emily project from the USC ICT and the Wikihuman Project provides texture maps, geometry and reference photography for a model scanned in the Light Stage. For this project, a github repository has been created with Maya assets ready for use in matching the real Emily with different renderers. The data set currently includes example images and materials rendered using mental ray and PBRT v3. These were created with an eye towards facilitating further experimentation with the existing dataset, extending material definitions for Vray and the skin shader in OSL provided on the main site. The repository can be found here: Digital Emily. A direct download of the assets and scenes is available here. This entry was posted in Company, Open Source and tagged face, lighting, materials, Mental Ray Shaders, reflection, refraction, rendering, skin, sss on January 6, 2016 by hpdrc. The Academy Color Encoding System 1.0 (ACES) was launched in December 2014 by the Academy of Motion Picture Arts and Sciences. The result of over 10 years of industry-driven development and testing, ACES provides a standardized color management infrastructure to replace what was lost in the transition away from film. A key application addressed by ACES 1.0 is visual effects production. The addition of the ACEScg color encoding to compositing, lighting, rendering and other CG workflows will simplify element interchange and preview, as well as enable high dynamic range and wide gamut deliverables. This entry was posted in Company, Presentations and tagged aces, acescg, color, colorspace, fx, hdr, ibl, lighting, linear, matrix, rendering, vfx on September 3, 2015 by hpdrc. “ACES 1.0 OpenColorIO config”, a presentation at the Siggraph 2015 ACES Birds of a Feather. The slides are available below. This entry was posted in Company, Open Source, Presentations and tagged color, colorspace, fx, hdr, ibl, lighting, linear, matrix, ocio, opencolorio, rendering, vfx on September 3, 2015 by hpdrc. 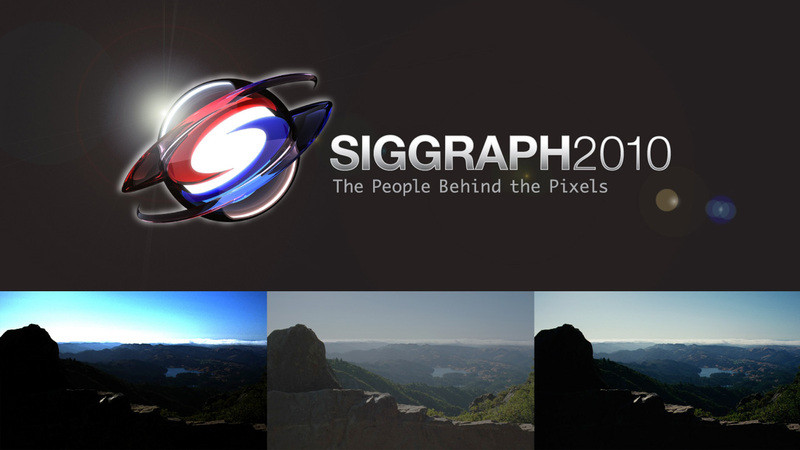 A presentation from the Siggraph 2010 Course on Color presentation “Filmic Tonemapping for Real-time Rendering”. This is an extension of the presentation from 2006 that includes an analytical approximation used in Naughty Dog’s Uncharted 2 as well as still from the game. Slides can be found below. This entry was posted in Company, Presentations and tagged filmic, filmic.tonemapping, games, hdr, ibl, lighting, linear, rendering, tonemapping, vfx on September 3, 2015 by hpdrc. Siggraph Asia 2009 presentation “Earthquake! Building a pipeline to Destroy Los Angeles in 2012” on Bento, the central pipeline component developed at Digital Domain to enable the creation of the LA Destruction sequence of 2012. 2012 presented a set of challenges that were unique in scale, even for an experienced company like Digital Domain. The LAP se- quence follows the progress of a plane flying through Los Ange- les as it is destroyed by a massive earthquake. From this aerial perspective, some shots had as many as 6000 individual objects. Each needed to be placed, animated, run through effects simula- tions, and finally lit and rendered. The time constraints and scale of this project meant that most of those steps would happen in parallel, and assets would be constantly modified, published and updated by each department as shots progressed. This entry was posted in Company, Presentations and tagged caching, database, fx, hierarchical, layout, pipeline, rendering, vfx, xml on September 3, 2015 by hpdrc. This entry was posted in Presentations and tagged hdr, ibl, lighting, Mental Ray Shaders, reflection, rendering, vfx on September 3, 2015 by hpdrc. A presentation at Electronic Arts in 2006 on Filmic Tonemapping, a technique from film that became very applicable to games with the addition of support for HDR lighting and rendering in graphics cards. Rendering resources are by definition constrained and yet the task of rendering many objects at high quality is frequently encountered in the effects industry. Breaking up scenes into renderable pieces, or passes, is a common approach to rendering large scenes. To achieve the quantity of photo-real effects in frame that were required by the scripts of The Matrix Reloaded and The Matrix Revolutions, mental images and ESC Entertainment developed a system for rendering and automatically compositing many passes. 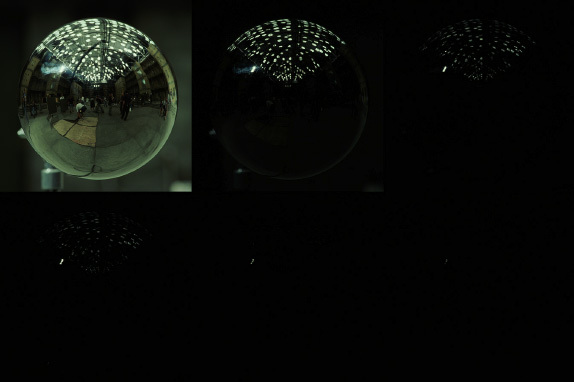 The system we developed has the key advantage that it takes as its compositing primitive not the pixel but the sample. This entry was posted in Company, Presentations and tagged compositing, deep, depth.compositing, fx, Mental Ray Shaders, rendering, vfx on September 3, 2015 by hpdrc. The Siggraph 2003 presentation on the ESC Lighting Reconstruction Toolkit, an Image-Based Lighting approach used on The Matrix Reloaded and The Matrix Revolutions are online here. The demands of photo-realism required of the effects for The Matrix Reloaded and The Matrix Revolutions led us to create a system for directly and accurately reconstructing real world lighting environments. The Lighting Reconstruction Toolkit builds on research in the area of Image-based Lighting and extends current techniques to enable the reconstruction of lighting that more closely matches the real world. This entry was posted in Company, Presentations and tagged fx, hdr, ibl, lighting, linear, matrix, maya, panoramas, rendering, shake, vfx on September 3, 2015 by hpdrc.